Early evening our coach just about managed to squeeze through the narrow village roads and parked cars. Many bemused locals witnessed our arrival. Rebellion - Zebedee 4.70 Full bodied yet refreshing and fruity, my 5 a day in a pint glass. 13:40 Number three on our Heritage tour this being a pub interior of National Importance. Busy in front of the servery with a group of locals chewing the fat. This was my first visit since 1989 and we sat in the tap room which we had to ourselves. Nice to see old Arkells pump clips still in use. Another visit here by preserved bus from the Thursday evening mild drinkers club, swelling the already large complement of locals visiting on a warm summer evening. West Berkshire - Maggs' Magnificent Mild 3.80 Again in top condition here with a full bodied malty and fruity flavour with low hoppiness. My score 17/20. We arrived by preserved 1950s Reading double deck bus and soon swelled the assembly of friendly locals. A superb atmosphere then ensued, like stepping back in time to the 1950s. The outside Gents toilet is a rarity these days too. Simple food consisted of farmhouse style rolls with various excellent quality fillings. Highly recommended, but difficult to access without own/arranged transport. West Berkshire - Maggs' Magnificent Mild 3.80 Certainly the best condition I have ever tasted this beer with deep malty, fruity and liquorice flavours all present. My score 17/20. 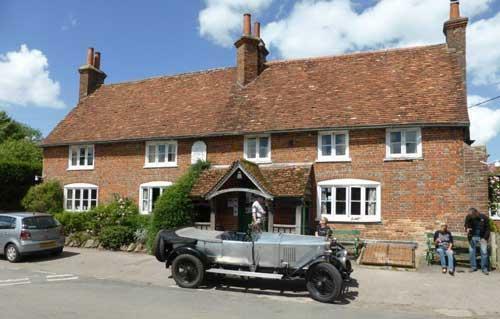 The pub is found in Aldworth, Berkshire, RG8 9SE. 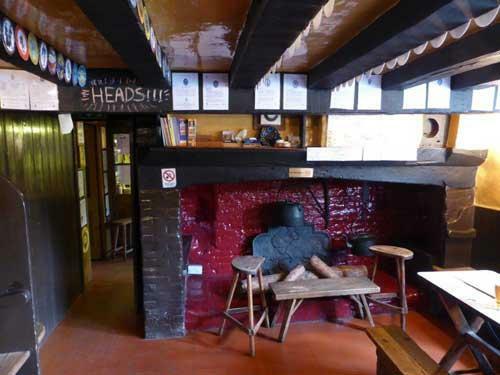 In Bell Lane, on the National Inventory of historic pub interiors, this is a gem of a rural pub caught in a time warp. Two simple rooms lead off a central hatch bar area. 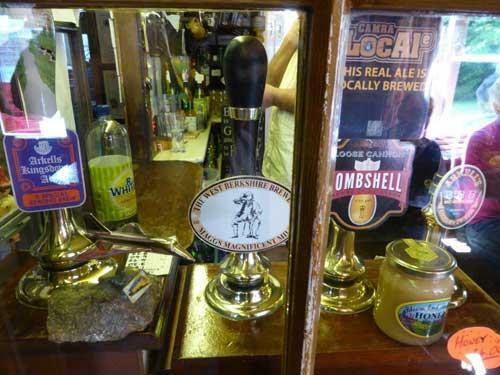 Beers are served by handpump and include local West Berkshire brews including mild and other local ales. 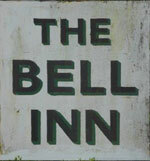 CAMRA National Pub of the Year in 1990. We have visited this pub 4 times, seen 7 different beers and tried 4 of them.